Here in the FIND Art Dept. we are a full service art studio. We specialize in everything from print and web design, branding, custom artwork, illustration, mural art, photography and more.Â We love nothing more than a creative challenge. Our collaborative design process encourages new ways of thinking, always asking how to push the brief further. The outcome? Smarter creative. Working across a broad range of sectors, we have demonstrated experience in corporate, retail, gallery, fashion, community, and restaurant industries. Our approach is strategically driven with one clear objective in mind â€“ to draw customers closer. The best creative results come from scratching far beyond the surface of a meeting. With research and understanding forming the basis of our process, weâ€™re always prepared to begin with questions, proactively seeking ways to strengthen the connection between your brand and your audience. PROJECT: Design and layout a magazine style gallery guide with map for the LA annual artwalk, 2012. ASSIGNMENT:Â Creative Department. Created all brand, slogans, campaigns, menus, graphics, murals and more. 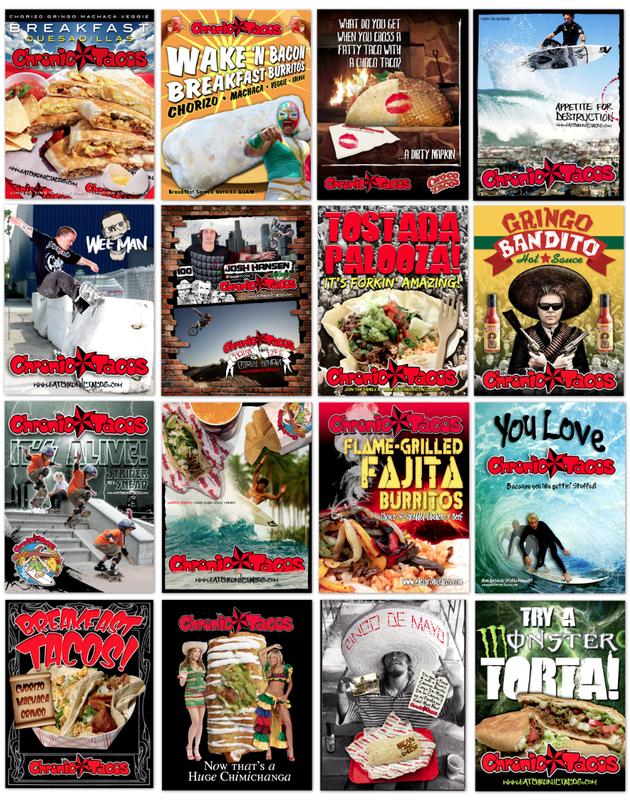 We took a small taco shop and grew it into a franchise with over 47 locations in 6 years.